Previously, on MinerBumping... 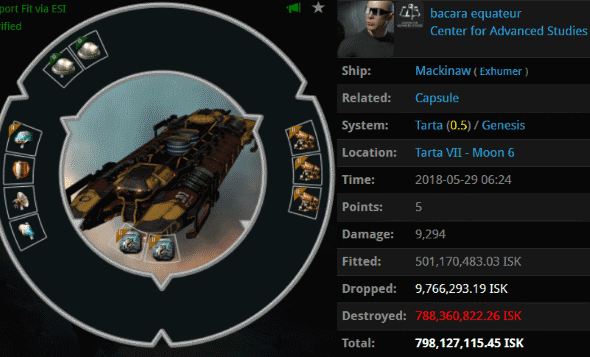 The Center for Advanced Studies NPC corp got a surprise guest lecturer: Agent Bounty Bumper, who was roaming highsec in a Machariel and confiscating blingy drones from non-compliant miners. Fellow CAS member Teh Burninator received a personal demonstration. Teh Burninator was disgusted by the reaction in the CAS channel. Surprisingly, there wasn't much community spirit in a corp with tens of thousands of anonymous members. Instead of rallying to the carebear's defense, as they might have done in previous years, most CAS members mocked Teh Burninator. Though large pockets of bot-aspirancy certainly exist in the NPC corps, they've undergone a surprising transformation since the dawn of the Code. A lot of random players speak and think a lot like Agents of the New Order. Things only got worse for Teh Burninator. Despite having his drones taken by Agent Bounty, the miner remained in the system; he simply continued mining without them. This resulted in Bounty's alts ganking him. Our Agent added the loot drop and Teh Burninator's corpse to the collection of drones he'd taken earlier. 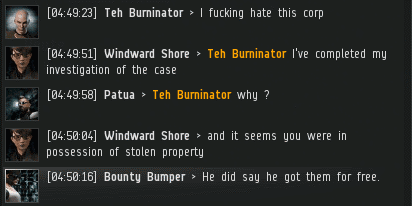 Bounty reported the good news to the CAS channel. He was especially eager to hear Teh Burninator's response to the incident. So far, the miner was silent. It wasn't merely a case of Teh Burninator being unable to justify his blunder. He was completely AFK and would remain so for the next 40 minutes. ...After which time he resumed his conversation with the CAS channel. 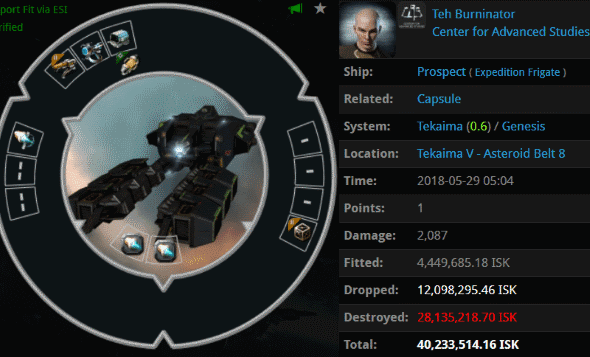 Remember: Teh Burninator has been playing EVE for nearly a decade. He's been a member of CAS the entire time. It looks like he hasn't won their loyalty yet. 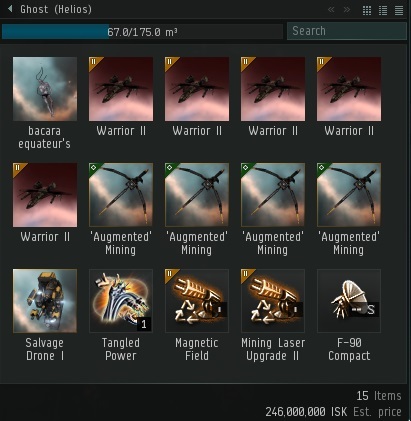 An hour later, Agent Bounty discovered bacara equateur, another member of CAS, mining with illegal equipment: A 798 million isk Mackinaw. It, too, was operating a flight of blingy drones. 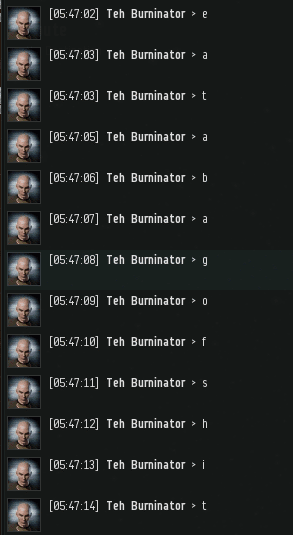 Bounty continued his important work in highsec, and he established a fine reputation for bumping miners. The miners didn't seem to know what to do about the bumping, other than to await death and destruction. Miners are not easily educated. 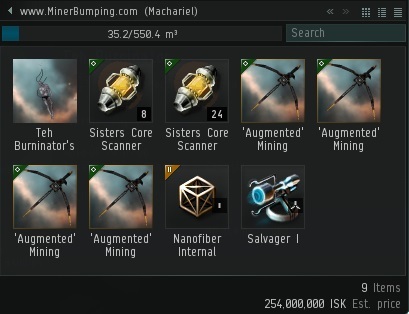 But at least the mining Megathron belonged to a member of The Scope. Why is it always a Megathron? 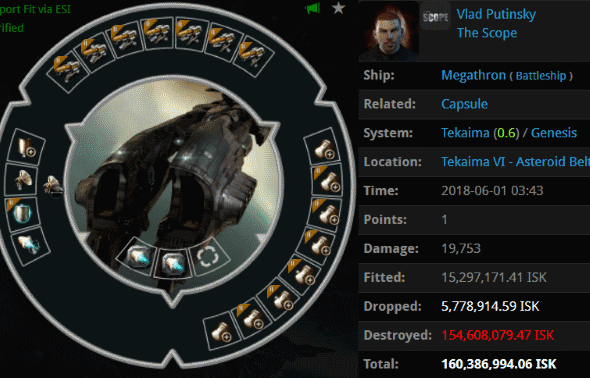 Jeezus carebear, wtf is the megathron for? Blasters! You deserve to be banned for being that bad. Your jesus is a lie miner. Jeezus was used as an expletive. Learn to english, retardanon603. 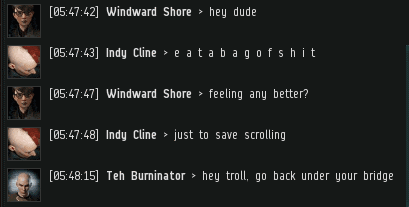 Such foul language is common for miners. You show your ignorance when using such language miner. I thought the same thing when i first met your mother. That Mega fit made me throw up a little. Good bye to that rubbish.